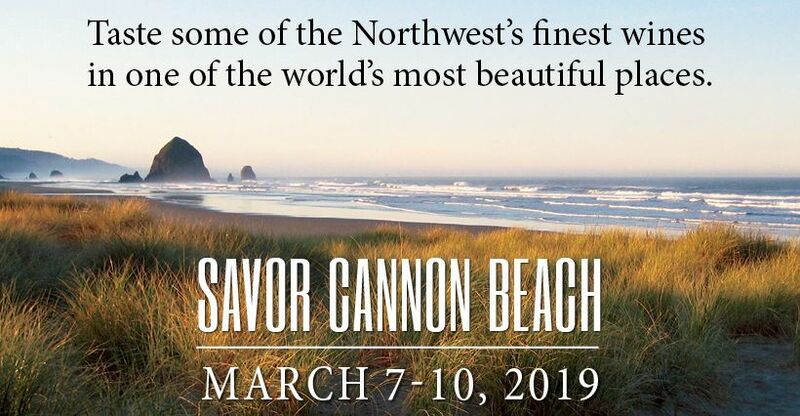 The Savor Cannon Beach Wine & Culinary Festival offers a series of six unique wine tasting experiences March 7-10, 2019, including the opportunity to taste some of the top award-winning wines from recent wine competitions paired with chef-designed appetizers. Our Wine Walk on Saturday features over 40 Northwest wineries pouring tastings at Cannon Beach art galleries, restaurants and retail shops, all within easy walking distance in this compact beach community. In addition to ticketed festival events, the towns restaurants, galleries and shops feature a weekend full of tastings, special dinners and other events. Our opening night event is an evening of award-winning Northwest wines and chef-designed light bites to pair with them. Youll taste eight award-winning wines including recent Gold Medal winners from competitions like the SavorNW Wine Awards and the Cascadia Wine Competition. Each wine will be paired with a light bite specifically designed to complement it. Wines will represent many of the wine-growing regions in Oregon and Washington and your votes will determine the best wines of the evening from these superb selections. Finish this fun evening on a sweet note with an award-winning dessert wine. Our Best of the Northwest Throwdown is an evening of delicious fun and is a great way to discover new wines and varietals while you increase your awareness of Northwest wine regions.